The wisdom of the crowd is that it is almost impossible to build your own product if you are running an agency business. We’ve built two products that earn money so I decided to share our conclusion. I also asked my friends from other agencies and software houses which have successfully built products to share their insights. Divante is an eCommerce Software House. We started our business 10 years ago and, since then, we’ve built quite a successful business around Magento. In the meantime, we started using more tools and products, also built in-house, and finally two years ago we released our first self-made product – Open Loyalty. Open Loyalty is growing 300% y/y and last year we made over USD 300k in this business line selling enterprise licenses. A year ago we released Vue Storefront. This is a mobile-first eCommerce frontend you can use with any backend. First, we released open source, and now it is the 6th most popular open-source software and is growing really fast. Last year, we made something like USD 1M from services and consulting around this product. This year, we started selling its enterprise cloud version (check out Storefront Cloud) and we already have some cool traction regarding it. We‘ve built two products that are filling gaps we had seen while doing our other eCommerce implementations. Both products filled the gaps we saw on the market (lack of open-source loyalty program and lack of mobile-first commerce platform). Our eCommerce expertise helped us design and test our hypothesis quite fast. Is that a product or not? We publish a lot of things but it doesn’t necessarily mean that we create a product around every open-source project. Usually, we don’t. For us, projects should have some crucial elements to become products: a monetization idea or even strategy, a PO in charge of design development, a marketing and sales plan. Maybe some of our open-source projects will become products someday but the two products we’ve already released began with this bigger scope in mind. We’ve heard many stories of really good agencies going broke because they started building a product and forgot who is paying the bills. When we decided to invest in our product, we knew we needed a Product Owner and a Product Team which will focus 100% on the product. The Divante Founders simply couldn’t split their attention between all these businesses. When we decide to build a product, we know who is responsible and these peoples are 100% responsible. There is always some fire to handle in the service business. If the Product Team is not separated from other projects they will never finish the product. It’s just too easy to steal these precious resources. While building products at Divante, we separate the Product Teams, create separate P&L files (Profit&Loss) and even a separate room for them. On a daily basis, in Divante, we use the Tribes Structure so for us this is very natural to build separate teams. This helps us a lot. For both our products, we decided not to use our network and clients list at the beginning. We know that our clients just like us and they would have a hard time saying NO to us. This would give us the false feeling of finding traction. We decided to create marketing and sales pipelines from the ground up. This was an amazingly good decision when I think about it right now. Thanks to this approach, we found really interesting niches and geographies. For example, Open Loyalty is really popular in Asia among financial institutions. Before that, we’d never worked with financial institutions nor with clients from Asia. The same goes for Vue Storefront, whose commercial version is getting popular in the U.S. and not so popular in Europe. This is another argument to invest in separate Product Teams. For every product, we see a reasonable minimum of two marketers and two people responsible for sales operations. Crossing the Chasm, The Tornado and Escape Velocity are three great books about building new products (find out some other of our favorite books). The authors say that for VC-backed startups it could be hard to cross the chasm and address a market which is just starting. VCs create the urgency that pushes these companies into hard selling even before they really understand the market. Especially when you start in a new market, traction at the beginning is great because you address enthusiasts who are looking for innovations. When you want to sell more, you must move to the next group that needs some business proof of the value you deliver. This shift is super-hard and usually takes much more time than expected. If you build a product for yourself, on a market you deeply understand, you will have more patience and understanding. Some of the most successful IT products are built out of agencies, like Magento, OroCommerce or Pimcore. These guys build a product for themselves, they know the market, they know what is needed. This is a great advantage of experience, which is probably also within your reach. This cloud-based platform allows IT systems, applications and data being connected more reliably and faster. The project was initiated in 2016 after the Magento 2 beta had been released in late 2015. Integrating applications remained a challenge and a middleware platform turned out to be the desired solution. After three years of development, MediaCT decided to turn it into an independent business entity to be able to help other agencies as well. At first, the agency didn’t have much experience with product development and probably that saved them from killing it due to the large and unforeseen project scope. As Caspar admits, a more agile approach in the first phase of product development would have given them more result in a short time. It’s a thin line between working towards a solid fundament vs working towards something usable and applicable. Looking at the type of platform that Magement have become, it proves that working on the solid foundation was worth all the time and effort. Piwik PRO began with an open source project (Piwik.org) which was the answer to enterprises’ needs of protecting users’ privacy. The Clearcode team took their first steps in 2007, but for a long time they struggled to give their solutions independence and freedom. Today, Piwik PRO is a suite of analytics and marketing tools that enable companies to track their traffic and improve their customer experience without sharing user data with third-party solutions. With its own freedom, Piwik PRO delivered independence and security to its users. While building OroCommerce, the Oro Inc. team already had the experience of building Magento as an open-source solution. During their time at Magento, they noticed a serious gap between what evolving B2B merchants needed and what existing B2C eCommerce platforms could provide. That gap in the market is what led the Oro team to develop their own B2B eCommerce and CRM products. 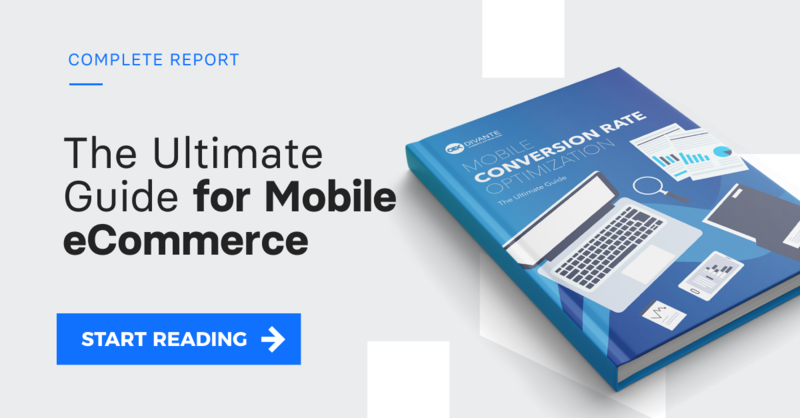 “Since B2B eCommerce is still new for many companies, I think our biggest hurdle is getting complete buy-in from all parties, especially sales teams. Some of the companies we interact with are a bit nascent in technology and still live in a pen and paper world.” – Yoav Kutner, Co-founder & CEO at Oro, Inc. Some things that were not done during the early stages at Magento turned out to be expensive fixes later on. However, these expensive fixes gave the Oro team important insights when developing a new product. Some of lessons learned were to invest in documentation and to focus on developing use cases for features. Oro Inc. offers to its customers 3 products (with over 425k unique installations) and supports its customers in shifting from analog into the digital era. “My advice to Agency/Software houses is to constantly interact with your customers in the real world and learn in detail the problems your customers want to solve. This will significantly help when you prioritize feature requests and build product roadmaps.” – Yoav Kutner, Co-founder & CEO at Oro, Inc.
Deviniti is an agency that for a long time focused on services. The idea of creating their own products came with its customers’ needs, which the company wanted to solve. Despite 15 years of experience in developing specific products based on clients’ requirements, it is a fairly easy task in comparison to building your own product. Deviniti solved it by taking the lean startup idea. With each developed product they pay more attention to their customer needs, build and test different hypothesis and run experiments. Their goal is to create user-friendly solutions that make the work simpler and make space to focus on their core business. Back in the 2000s, Dietmar Rietsch was very dissatisfied with legacy software and how it didn’t meet the need of creating a seamless online UX and building API-based enterprise software architectures. For more than a year, his agency evaluated about 100 existing enterprise products with the highest ratings and license cost. There was nothing on the market that would fit their needs. That’s why Pimcore was created. Today, Pimcore is an independent open-source solution used by enterprises globally. Dietmar and his team never rushed themselves into developing the product. They have a clear vision and roadmap which has now been executed for over 10 years. The whole product management is held by a small team of experts. Having your own product helps you scale up, gives you a second stable line of business and can really positively impact the valuation of your business and make it sellable. On the other hand, de-focusing and investing without a stop-loss trigger can ruin your healthy agency business and slow you down. For sure, doing these two things increases the risk of the business – but, for us, it has been worth it.